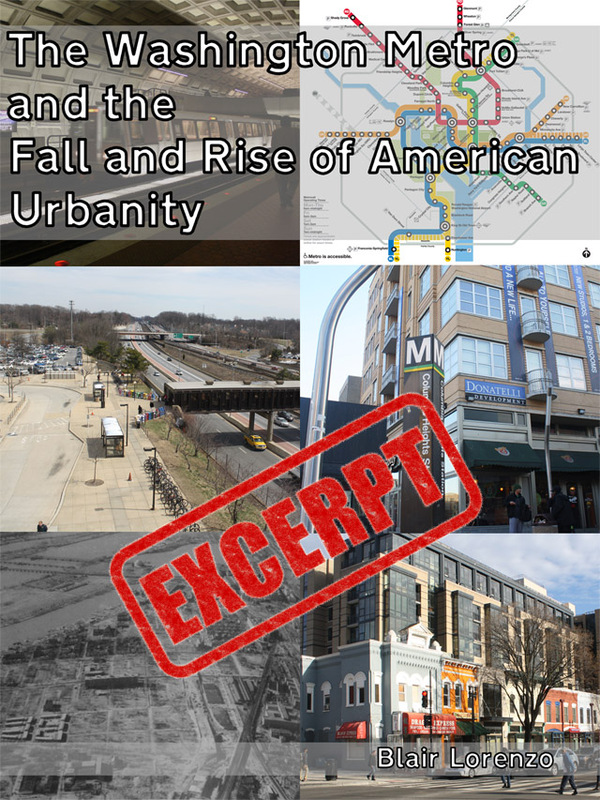 The following is an excerpt from the Master's thesis, The Washington Metro and the Fall and Rise of American Urbanity, presented and © 2014. It is part of Chapter 4: Stolzenbach, Jacobs, JFK, and the (Re)Emergence of American Urbanity. Enjoy! Rosalyn Deutsche, an art historian, critic, and urbanist, has written at length on the problematic nature of public art and public space. All too often, in Deutsche's opinion, art and space are neutered of their individual discursive qualities by existing power structures, a desire to serve the lowest common denominator, or both. For her, if space, art, or to extend her work to the case in hand, infrastructure, is to be truly democratic, truly public, it must embody ongoing contestation. Unlike Habermas, Deutsche has no preconceptions of a singular popular opinion that can be reached through rational dialogue. The ideas at hand are too powerful, the splits in opinion too great, and the balance of power too unequal for that ever to be the case. To this point, the story of Metro has encompassed a few contestations: Should transportation planning work to (re)concentrate urban life, or should it push towards dispersal? Is the automobile the way of the future, or does rail still have a role to play? What is the role of the 'expert' vis-à-vis the role of the public at large? What is the role of the government? These issues were highly contested by planners, politicians, and academics. But in becoming reality, they would by necessity affect far more than the select few in positions of relative power. The MTS plan would carve canyons of concrete through the densely populated District as well as through similarly settled parts of the surrounding, suburban counties. Not everyone, however, was quite ready to except a suburban, expressway-driven future. Many residents, especially those of white, middle- and upper-class neighborhoods were, unsurprisingly, none too enthused at the prospect of highways in their backyards. Homes would be destroyed, communities cut in half, and noise and exhaust, it was feared, would envelop entire neighborhoods. With no local government in the District to turn to, concerned residents had little choice but to turn to organization, activism, and protest. Within months of the publication of the MTS and the routes of the proposed expressways becoming clear, residents in both the District and some old-line suburban neighborhoods began to demonstrate. Washington, DC was fast becoming home to the first of the so-called freeway revolts, large-scale, local protests over the destruction caused by building urban expressways. Soon, these protests would begin to show up in other urban centers across America, challenging the power and omniscience of the political and planning establishments. In Washington, the heart of these protests was Cleveland Park, a white, middle to upper class neighborhood in the city's Northwest quadrant. Centered on Connecticut Avenue, Cleveland Park was, and to this day retains the typology of, a streetcar suburb. The bulk of the neighborhood contains a mélange of differently sized, but relatively closely spaced, single and multifamily houses. These give way to medium density housing and, eventually, apartment buildings as one approaches the main corridor. 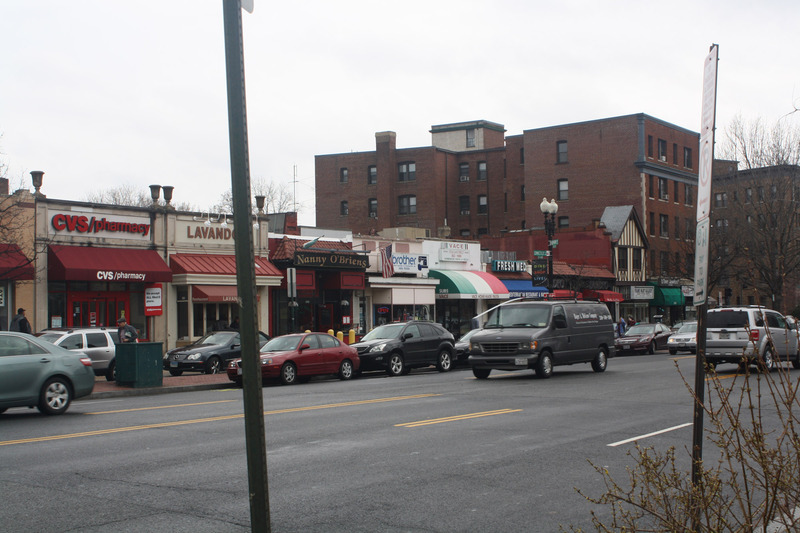 Connecticut Ave. itself is lined with small retailers and restaurants of all sorts, accessible by broad, people-lined sidewalks. A library, post office, and apartments buildings lie interspersed amongst the stores in a model of multiple use that enables easy, pleasant walkability. Rock Creek Park, itself a creation of Olmstead and then preserved and completed by the NCPPC, darts in and out, occasionally touching the main street and providing a faux-natural respite from the city life only mere blocks away. It is easy to see why residents would fear destruction of the neighborhood, and particularly of Rock Creek Park, one of the proposed routes of the Northwest Freeway. 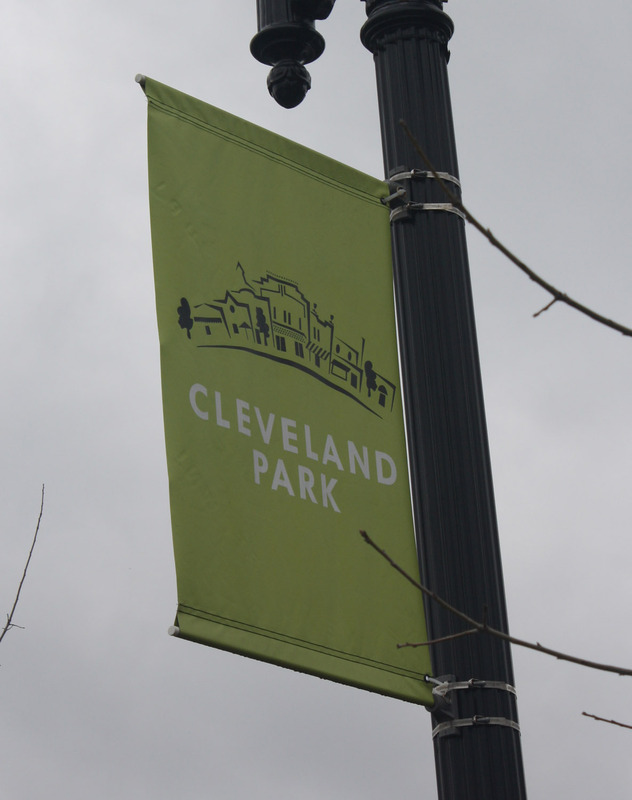 Independent protest movements in Cleveland Park were methodically organized by local lawyers into what would become called the Northwest Committee for Transportation Planning. Working with activist groups in other neighborhoods, they labored hard, protesting, publishing documents, and lobbying Congress and the media, attempting to make visible the destruction they perceived as imminent. And while the effort to prevent destruction drove a majority of their work, they went further, as well, attempting to shift the public discourse. For instance, they bemoaned the 1956 Interstate Act's 90% federal financing of roads as well-intentioned but short-sighted. Because there was no equivalent federal money for transit, local planners were given a false choice between nearly free road projects or paying for expensive, increasingly unprofitable transit infrastructure alone. Even more important, however, was something which went largely unsaid, but which clearly underpinned the protestors’ rhetoric. Their complaints were not mere NIMBY-ism; they were no happier to see another neighborhood torn apart by freeways than their own. Rather, their position had a strong undercurrent of rejection for the entire suburban project. After all, they were satisfied with their urban environment—with stores, parks, and amenities in walking distance, and being only a brief streetcar trip away from the center of the District and beyond. Why should their environment be sacrificed to secure a vision with which they did not agree? Transportation policy, plans, and technologies have always, as we have seen, been core to both the public and private fabric of the city. Previously, decisions about it had been left either to policy makers or private investors. Now, transit and its associated effects, both positive and negative, were becoming part of the democratic public sphere. Numerous people involved in the Cleveland Park freeway revolts would go on to important positions, but for the story of the Metro, none is more important than C. Darwin Stolzenbach†. Stolzenbach had been born in the Midwest, but had come of age in Washington, graduating from George Washington University. By day he was a systems analyst, an esoteric field which Merriam-Webster's defines as, "the process of studying a procedure or business in order to identify its goals and purposes and create systems and procedures that will achieve them in an efficient way." The interdisciplinary nature of the field meant it was easy to segue his skills to his hobby and his passion, city and transportation planning. Protest, as it almost always does, had made amateur planners out of much of the neighborhood, but not only had Stolzenbach been involved in the field for far longer (over the previous few years, he had unsuccessfully tried to achieve several planning positions), his background made him almost uniquely qualified for the task. As someone who made a living observing the interactions of systems and their origins, he could see both how transportation could influence the physical and social shape of cities, as well as how the goals of Bartholomew and the other MTS authors were quite different from those of the protesters. And whereas others were fixated on the negatives of the MTS report, Stolzenbach saw an opportunity. Quickly rising in the ranks of the protestors, gaining the ears of both the leaders and their followers, Stolzenbach encourage the activists to augment their narrative of neighborhood destruction through utilizing the proposed transit system as a counter narrative. Instead of automotive inevitability, this already government-sanctioned plan could be used to promote a radically different vision for what the District and its surrounding environs could be. The seemingly apolitical, technocratic ideals of Harland Bartholomew were in fact anything but: his own document could be used as proof that the shape of a city is not an inevitable outcome, but a matter of choice. †↑ Though his full name was Charles Darwin Stolzenbach, he almost always went by Darwin. The protesters received a Democratic boost in 1960 with the election of John F. Kennedy‡. Kennedy was (and remains) the youngest president ever elected to the office, and brought with him an air of the urbane and the cosmopolitan, perhaps best exemplified by his wife, Jacqueline Kennedy. President Kennedy grew up in both Boston and New York, and cut his political teeth as first a congressmen and then as a senator from Massachusetts, meaning he was well steeped in urban affairs•. He had also witnessed, from a distance, the destruction of Boston's West End neighborhood, making him no stranger to the potential tragedy of "urban renewal." He also, despite an occasional quip to the contrary, took a deep interest in the affairs of the capital city, partly as a political and monumental center, as many of his predecessors had done, but also as a place in and of itself. As but one example, the Beaux-Arts architecture of City Beautiful had remained the federal standard long after it had fallen out of architectural fashion. In much of central Washington it was hard to find a vista that did not include in it some variety of neoclassical building. Kennedy took an active role in shaking up the architectural standards of the federal government and of the city. Both to keep the city architecturally relevant as well as to keep the environment varied for residents and workers, he appointed a host of well-heeled, Modernist architects to the Commission of Fine Arts, the body which oversees all design and aesthetic concerns within the District. •↑ Indeed, the historian Zachary Schrag keenly notes that Kennedy was the only president to have grown up in cities with subway systems. Given the substantial Kennedy fortune and the copious amounts of time spent at boarding schools and tucked away at Hyannisport, it is questionable exactly how much firsthand experience he might have had with them. Still, the very fact that he was familiar with transit and cities in general seems to have clearly influence his policies towards them. Like many presidents eager to make their mark, Kennedy dismissed many of Eisenhower's officials and replaced them with his own. In District-related affairs, this meant that the highway evangelists were out, and, to fill the vacuum they left, the administration turned to the next best available source: the protesters. 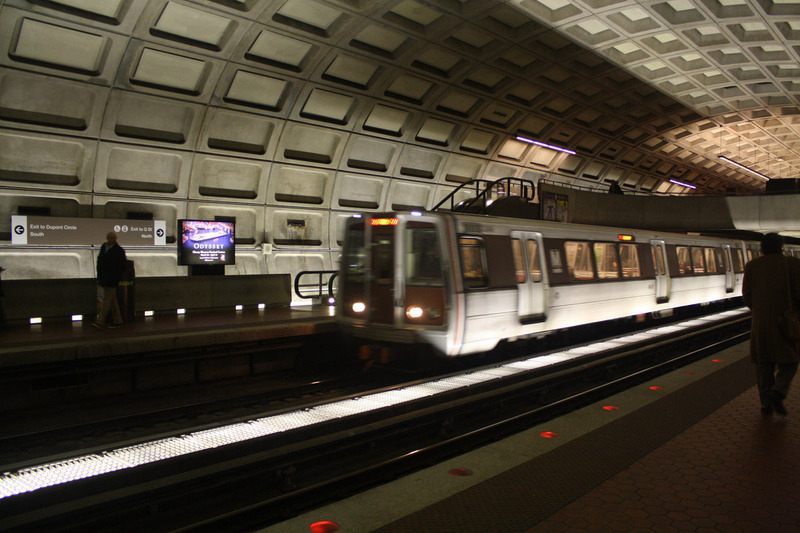 Following the advice of the MTS report it had commissioned, in 1961 Congress acted to create the National Capital Transit Administration (or NCTA) in order to begin the process of designing and building the transit system the plan recommended. To run this new organization, Kennedy turned the establishment on its head and appointed an outsider: Darwin Stolzenbach. The tenor of public discourse around urbanity was rapidly changing in the early 1960s. In his pioneering work, The Structure of Scientific Revolutions, the philosopher and historian of science Thomas Kuhn attempts to understand the history of scientific knowledge. In Kuhn's conception, the advancement of knowledge and understanding does not simply occur at a linear rate. Rather, scientists work within a paradigm of assumptions, facts, and theories; a paradigm which not only underpins an era of thought, but provides the very questions that define the path of advancement. While growth is fairly linear within a paradigm, every once and a while an individual or group will come up with a new theory or discovery that will radically alter our understanding, significantly changing the questions we ask and the assumptions we make. There are "paradigm shifts" (a term Kuhn coined), like those of Copernicus and Galileo, Newton's Laws of Motion, or Einstein's Theories of Relativity: concepts which so thoroughly change the substructures of understanding that, by their implications, affect fields far outside their original scope. In 1961, at almost the same time as Stolzenbach's appointment, Jane Jacobs published her seminal Death and Life of Great American Cities. Jacobs too had made a name for herself with freeway protests, and like the Cleveland Park activists, her work was a scathing critique of current practice. But it was also more: in the field of urban planning, Jacobs' work was a Kuhn-ian paradigm shift. In copious detail, she saws away at the intellectual pillars and assumptions that had held up the field prior, while at the same time artfully outlining a new framework of understanding. Instead of viewing urban form as a problem, she seeks out its strengths. Instead of treating the city as an architectural whole, Jacobs focuses on the interactions between the people and businesses within it, and how a city's structures not only affect these interactions, but how they can enable them. Jacobs’ work turned the historical assumptions that had driven planning for a century or more on their head: maybe density wasn't a problem, but a benefit; maybe not all green spaces are universally good; and maybe mixing uses has positive benefits for urban dwellers. She savages the urban renewal projects of post-war America not only as functional and aesthetic failures (though clearly, in her view, they were), but as forms of "catastrophic capital," massive changes that rip and stretch the fabric of the city almost to a breaking point. At the same time, even in her darkest critiques, Jacobs is deeply optimistic about the future of urban spaces, hanging on to the belief that if planners and governments would simply tone down destructive changes, allow direct community involvement, and focus on a different set of fundamentals, cities would thrive. The shift from the technocratic ideals of Harland Bartholomew is clear: even at the highest levels it was being recognized that the shape of the city is not an inevitable outcome, but a matter of choice. Kennedy took action to back up those words. He pushed for the passage of Urban Mass Transit Act, which, though it would not come close in either absolute dollars spent, nor would it approach the 90% contribution promised by the Interstate Highway Act, would allow for federal financing of urban mass transportation systems†. 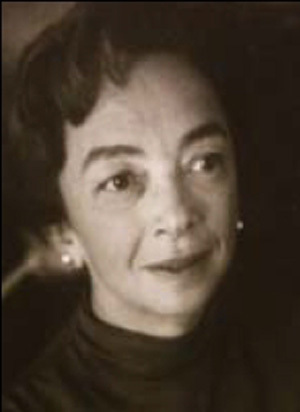 Perhaps more strikingly, in 1962, he appointed Elizabeth Rowe, a Cleveland Park resident and alumna of the protests, as chair of the NCPC. In some ways, Rowe can be seen as the District's analogue to Jacobs. 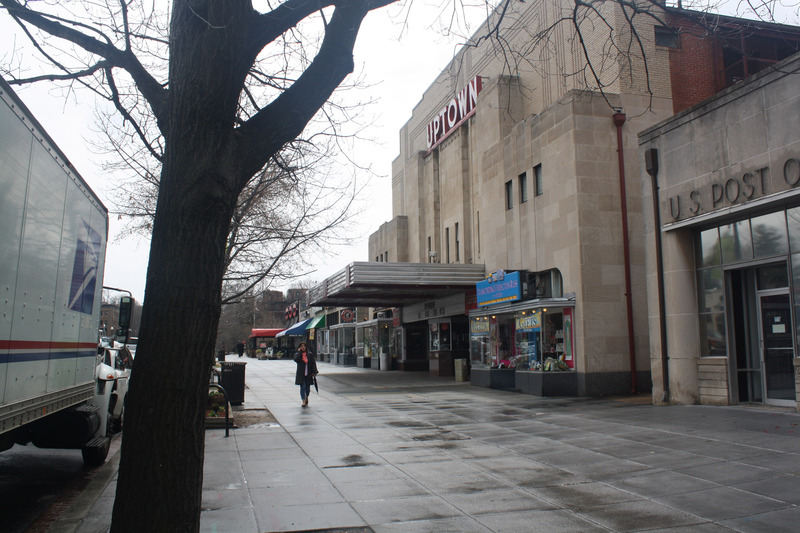 A lifelong Washingtonian, Rowe had cut her teeth on the DC Auditorium Commission, a body which was in charge of what would later be known as the Kennedy Center. The course of her work led her to see the changes being wrought on the banks of the Potomac and in Washington's Southwest, and she was aghast at boththe destruction and the ugly, inhuman landscapes of highways, parking lots, and modernist boxes that were taking shape. Rowe would spend her career at the NCPC striving to convince the other committee members to see the city as a collection of neighborhoods, and would fighting for historic preservation, for plans that embraced urbanity and livability, and against what she saw as the, "vertical ice-tray school of architecture,." that is, high rise Modernism‡. †↑ Though pushed for by Kennedy, the UMTA would not pass until 1964, after his death. As an additional note, UMTA allowed Metro to use the ⅔rds federal contribution proposed by Bartholomew, a nod to the power of having an idea officially established in the public discourse. Other and later projects would get far less. ‡↑ It is both interesting and sad to note how, in Frederick Gutheim, in his official history of the National Capital Planning Commission, spends but a few paragraphs touching on Rowe's tenure before continuing with descriptions of massive plans and projects that came before and after. It seems clear that board of the time, primarily made up of members of the old planning guard, were not readily receptive to such a dramatic change in direction and priority. Meanwhile, Stolzenbach and the NCTA were doing their part to help ensure Washington's urbanity via transportation. One thing Stolzenbach shared with his predecessor Bartholomew was a desire to make the system as attractive as possible. For Bartholomew, the idea was simple: the more attractive the system was, the easier job it would have of attracting potential riders from their cars. Stolzenbach shared this goal, but added more to it. 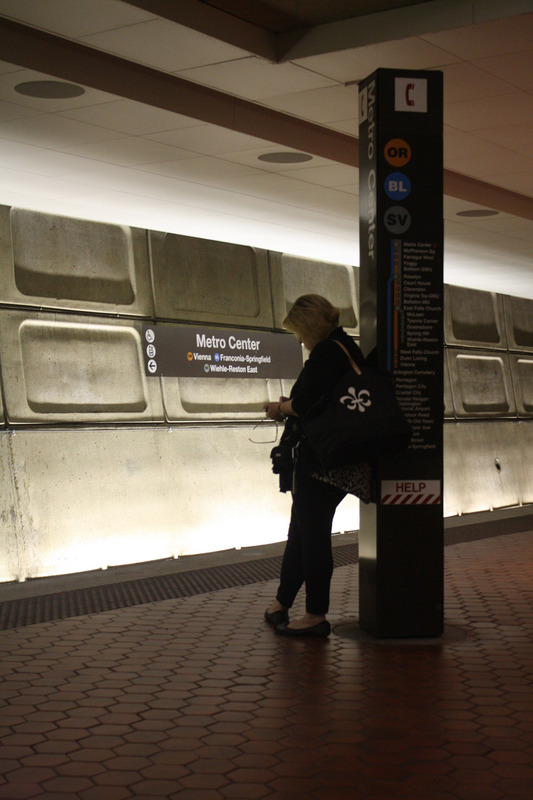 The NCTA recognized early on that Metro stations were to be some of Washington's most important public spaces, and as such, they needed to be physically attractive and inviting. There were strong fears that any system which resembled the New York City subway of the era, dark, confined, and graffiti covered, would be disastrous for the health of both the system and the city alike. To accomplish this, rather than follow the usual transportation project paradigm of hiring an engineer to build the system and an architect to decorate the details, Stolzenbach and the NCTA opted to bring in both parties as coequal partners from the beginning. 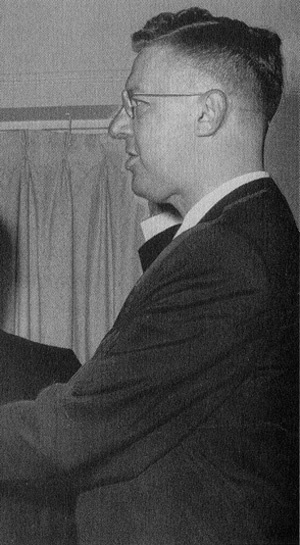 The NCTA's public request for designs mimicked both Stolzenbach's background and the words of Jacobs: they wanted an architect who understood that they were designing a comprehensive system of moving people, and that the system was to be first and foremost designed around human parameters and human needs. This humanistic focus is very much characteristic of the urbanist turn represented by Jacobs. The architect they selected, Harry Weese, sought to embody these ideals. He set out to design spaces which would not only be symbolically resonant, but which would fit in with existing federal architecture; spaces which could not only handle massive amounts of people, but which would make these people comfortable. Weese and his team traveled the world studying various subway systems and analyzing how each was utilized, mimicking the contemporaneous sociological work of William H. Whyte on public plazas. Weese envisioned the system as an extension of the street. It was to be freely accessible and was to allow for easy movement, yet would also provide spaces of repose and comfort. The system would function as well as possible both as an architectural and as an urban space. Even Weese's work, however, could not escape the strange duality of designing for a shifting public need whilst being beholden to the aims of other, more traditionalist, experts. As noted, all federal architecture in the capital had to be approved by the Commission of Fine Arts. Kennedy, in order to keep the District and the CFA relevant, had appointed such Modernist luminaries as Gordon Bunshaft and Eero Saarinen, men who were, to put it very mildly, very self-assured and determined to have their say. They all also readily admitted that none of them regularly rode a subway. Though the final design, the famous coffered barrels, was all Weese's, he had originally toned the plan down to save on cost and improve the ease of construction. With no need to worry about anything as base as the cost or the art of building, the CFA ordered the return of the vaults. Even with its new members, the CFA's concern remained rooted in the monumentality of the capital instead of the needs of local residents. They cared far more about the consistency and iconography of the system, and left the "minor" concerns of its functionality to Weese. For better and for worse, an unelected and unaccountable board had again shaped the future of Washington's public realm, with a direct cost to the taxpayer. This fledgling urbanist narrative, however, was hardly universal: it was highly contested. Suburbs, not only around the District, but in the country as a whole, were still exploding in population, often at the expense of the older, urban cores they surrounded or, in the case of the Sunbelt, forming a whole new type of metropolis. Like all paradigm shifts, particularly those in the realms of social science and human culture, where facts and evidence are rarely clear-cut, the uptake of the urban ideal was not, nor would it ever be, immediate, inevitable, or bloodless. The NCTA still has to contend with the Maryland, Virginia, and District of Columbia Departments of Transportation, the latter of which was still under the heavy influence of the Army Corps of Engineers, all of whom were still hell-bent on expressways. Stolzenbach would soon demonstrate the costs and potential pitfalls of non-Habermasian contested discourse. ↑ Frederick Gutheim and Antoinette J. Lee, Worthy of the Nation: Washington, DC, from L'Enfant to the National Capital Planning Commission (Baltimore: Johns Hopkins University Press, 2006), 289. ↑ Rosalyn Deutsche, “The Question of Public Space,” in Evictions: Art and Spatial Politics (Graham Foundation for Advanced Studies in the Fine Arts, MIT Press: 1998). ↑ Zachary M. Schrag, The Great Society Subway: A History of the Washington Metro (Baltimore: Johns Hopkins University Press, 2006). Frederick Gutheim and Antoinette J. Lee, Worthy of the Nation: Washington, DC, from L'Enfant to the National Capital Planning Commission (Baltimore: Johns Hopkins University Press, 2006). Robert Caro, The Power Broker: Robert Moses and the Fall of New York (New York: Vintage Books, 1975). Brian J. Cudahy, Cash, Tokens, and Transfers: A History of Urban Mass Transit in North America (New York: Fordham University Press, 1990). ↑ Schrag 2006. Gutheim 2006. ↑ Schrag 2006. Cudahy 1990. ↑ Merriam-Webster Dictionary (Online edition, accessed May 10, 2014, http://www.merriam-webster.com/dictionary/systems%20analysis). ↑ Schrag 2006. Zachary M. Schrag, “Mapping Metro, 1955-1968: Urban, Suburban, and Metropolitan Alternatives,” Washington History (Vol. 13, No. 1, Spring/Summer, 2001, pp. 4-23). ↑ Schrag 2006. Robert Dallek, An Unfinished Life: John F. Kennedy, 1917-1963 (Boston: Little, Brown and Co., 2003). ↑ Thomas S. Kuhn, The Structure of Scientific Revolutions (University of Chicago Press: 2012). 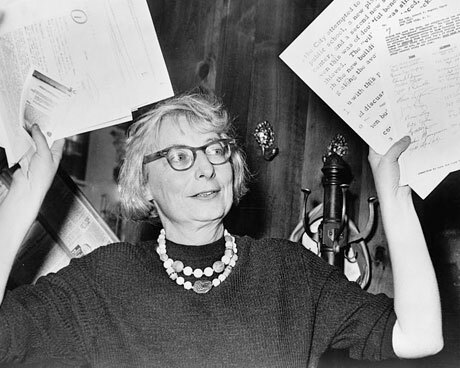 ↑ Wikipedia contributors, "Mrs. Jane Jacobs, chairman of the Comm. to save the West Village holds up documentary evidence at press conference at Lions Head Restaurant at Hudson & Charles Sts.," Wikipedia, The Free Encyclopedia (Accessed December 8, 2013 http://en.wikipedia.org/wiki/File:Jane_Jacobs.jpg). ↑ Jane Jacobs, The Death and Life of Great American Cities (New York: Vintage Books, 1961). Anthony Flint, Wrestling with Moses: How Jane Jacobs Took On New York's Master Builder and Transformed the American City (New York: Random House, 2009). Gutheim 2006. ↑ John F. Kennedy, "Special Message to the Congress on Transportation," April 5, 1962 (The Public Papers of President John F. Kennedy 1962: 129). ↑ Schrag 2001, 2006. Gutheim 2006. ↑ Wikipedia contributors. "Elizabeth Ulman Rowe - NCPC," Wikipedia, The Free Encyclopedia (Accessed May 10, 2014). ↑ Gutheim 2006. Schrag 2006. Cudahy 1990. ↑ Schrag 2006. Stanley Allan, For the Glory of Washington (Harry Weese Associates, 1994). William H. Whyte, The Social Life of Small Urban Spaces (New York: Project for Public Spaces, 1980). Stanley Allan, “A man of many words and works, 1915-1998,” Inland Architect (113/1, 1999, p48-64). ↑ Schrag 2006. Allan 1994. Allan 1998.